Cell C has been hit by the exit of three top executives at a time when the company is sending out mixed financial signals. S&P Global Ratings earlier this month downgraded Cell C to CCC+, which is seven notches below investment grade, from B- due to concerns about the company’s liquidity position being “more vulnerable”. On the other hand, in February, Cell C reported a net profit of R4.1 billion for the year to December, reflecting a 660% rise, benefiting from a one-off gain of R4.1 billion arising from a recent transaction. However, Cell C reported a “normalised” loss for last year of R26 million for a “normalised” profit of R320 million in 2016. 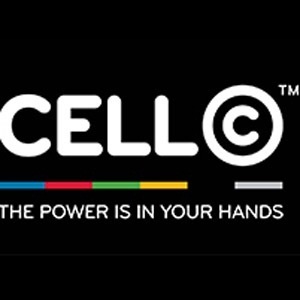 Cell C this week announced during a conference call to discuss the company’s historic financial statements that chief financial officer Tyrone Soondarjee would be leaving at the end of this month. During the call, Soondarjee said, in a very brief statement, that he would step down to join his family business on a full-time basis. He cited “personal circumstances” for his decision to resign. Soondarjee joined Cell C in July last year. He has more than 30 years of experience in the financial services industry, and he was previously Sasfin’s financial director. Cell C chief procurement and property officer Sherhaad Kajee is leaving. An email to Cell C staff said he was leaving the company for “personal health reasons”, according to sources close to the company. When contacted, Kajee said he had been suffering from prostate cancer and needed to take time off. His mother in Holland was also sick and he needed to visit her, he added. “I need time off to reassess my life,” Kajee said. Kajee joined Cell C in August 2012 after a spell at Vodacom from 1997 to 2008, where he was managing executive for procurement, according to his LinkedIn profile. In another blow for the telecommunications company, Cell C chief digital officer Nihmal Marrie has resigned and will leave at the end of July. When contacted on Friday, Marrie said he couldn’t talk, but would be able to later in the day. However, City Press wasn’t able to reach him later on Friday. Marrie was leaving Cell C to “join a global company”, sources close to the company said. Marrie joined Cell C on August 1. Marrie joined Cell C from the Liberty Group, where he served as divisional director: digital and customer value proposition, according to the announcement at the time.